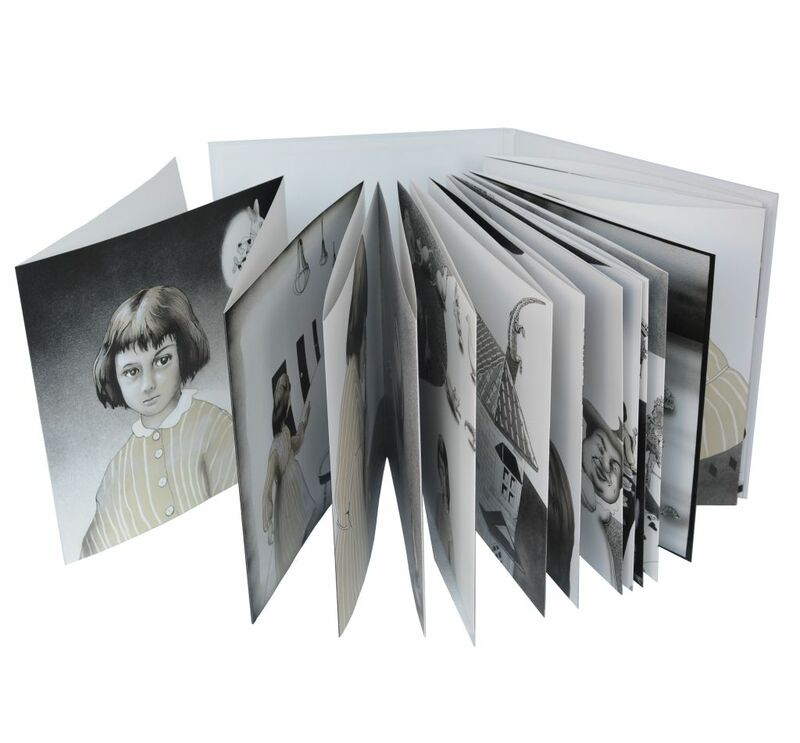 book, drawn by H. Hanna, who was inspired by the “real Alice” in a photo taken by Lewis Carroll at that time, creates another wonderland of her own. The illustrations in the original book of “Alice’s Adventure under Ground” were drawn by Lewis Carroll himself. John Tenniel drew the most famous illustrations in the publication of the book, “Alice’s Adventure in Wonderland”. Thereafter, many illustrators have drawn for the book. H. Hanna features the “real Alice” as the heroin in her art book, just as Lewis Carroll had intended at heart, as the original book was hand-made and gifted to Alice Liddell as his Christmas present. 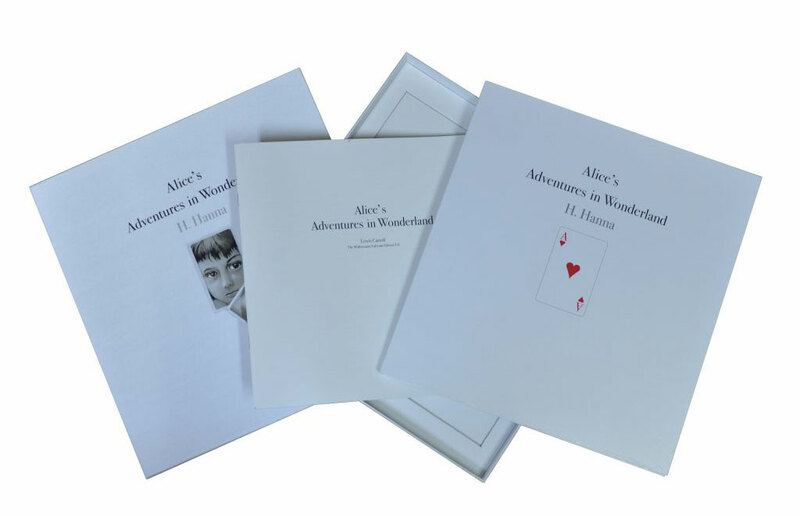 This art book is bellows-folded and can be extended over 32 feet, allowing you to experience Wonderland the way Alice did. Because of the book's structure, you can frame it and paste it on walls of your room. 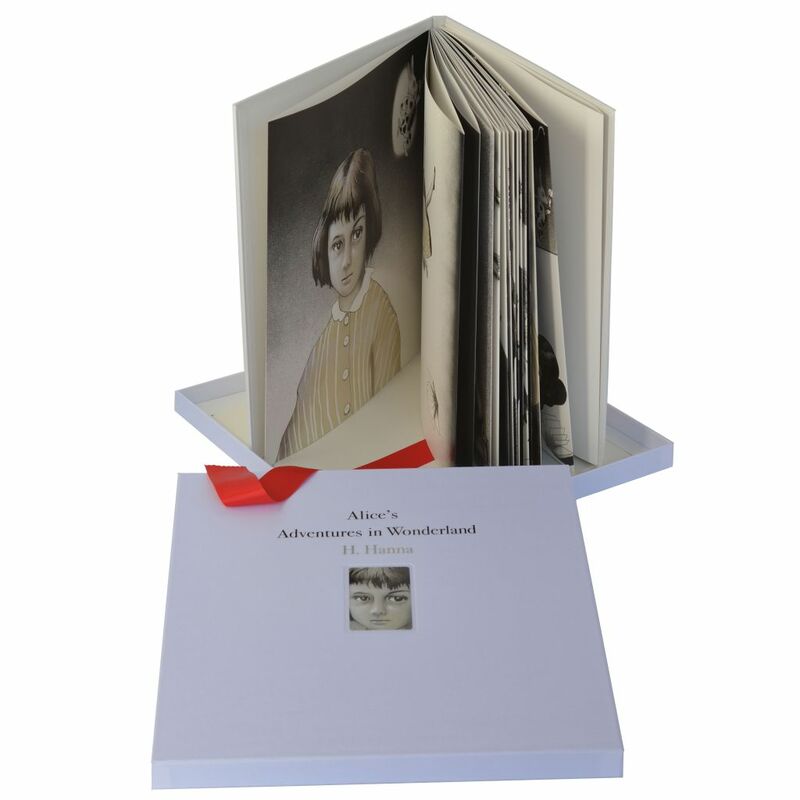 This book could become a wonderful and favorite treasure for you if you are an Alice fan, as you are guided by the real Alice through the Wonderland in the beautiful package in which the art-book is installed, even if you are not familiar with the story of Alice. The first edition of this art book, which is limited to 1000 copies, is signed by H. Hanna. It would be a wonderful gift for you and/or your friends. Book Design: Tadahisa Kawamata (Japan Design Center Co. Ltd.
Printing & Binding: Dai Nippon Printing Co.Ltd..
Co-operation: EPSON, Dai Nippon Printing Co.Ltd.